Lambeth Council has joined the campaign to see the 70 years since the Empire Windrush docked at the Port of Tilbury on 22nd June 1948 commemorated by the Royal Mail. Currently, the Royal Mail only recognises anniversaries of 50, 100 or 150 years. However, there was no 50-year commerative stamp in 1998 which is why Black Thrive Director Patrick Vernon has taken it upon himself to see if this can be rectified. Patrick says “All of us – whether we are Windrush immigrants, their children and grandchildren, or we trace our family histories back to much earlier arrivals in Britain – have a responsibility to uphold a positive vision of multi-ethnic and multi-faith Britain as a shared society which is welcoming, just and fair to all. 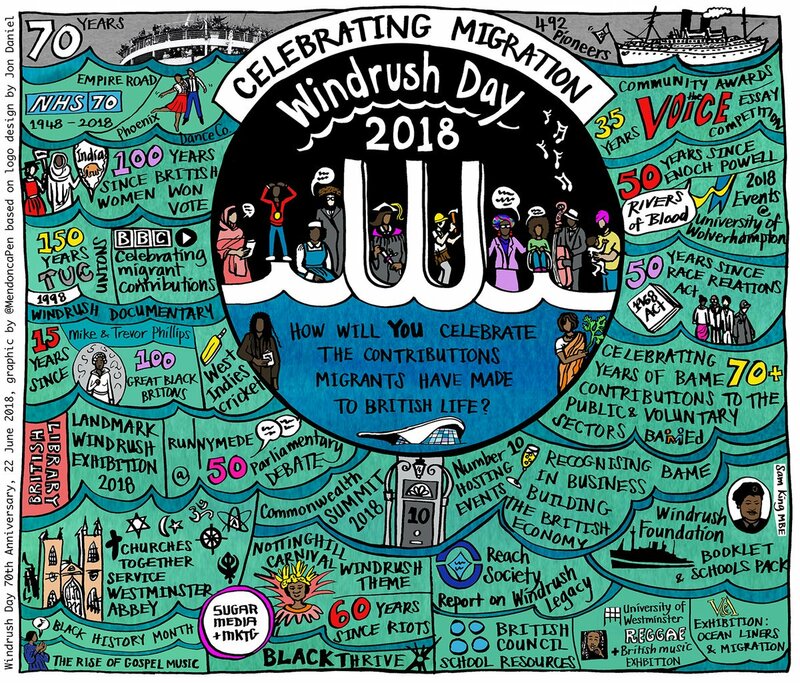 The arrival of the MV Empire Windrush at Tilbury Docks is a chance to reach across our many different ethnic, faith and family heritages, to reject prejudice and intolerance, and to shape a fair and inclusive future that we all want to share". So Black Thrive now asks its members and those who receive this newsletter a simple question " will you join the campaign?" right now the count stands at 1337 we need 163 more signatures to get to the first milestone of 1500. Let us show respect and honour to those that came over and forged a pathway for others to follow by signing this petition. Black Thrive will be attending the funeral.